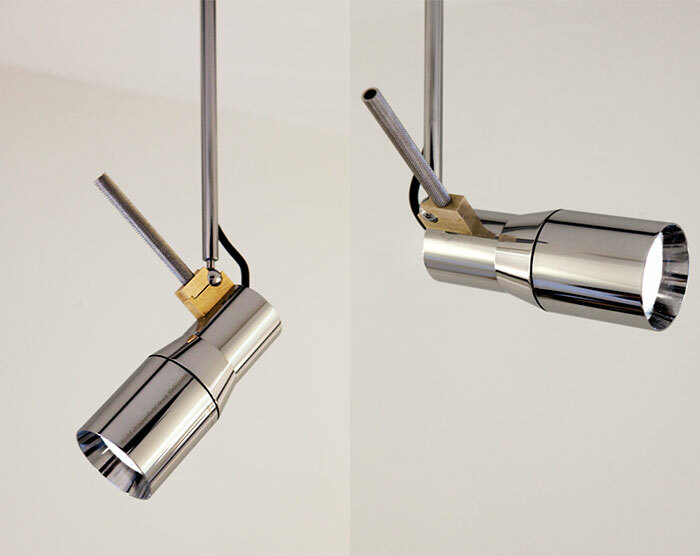 IP20 rating light fitting for indoor use made up of a spotlight adjustable on three axes, mounted on a wall or ceiling attachment stem made up of a canopy with 165mm diameter. 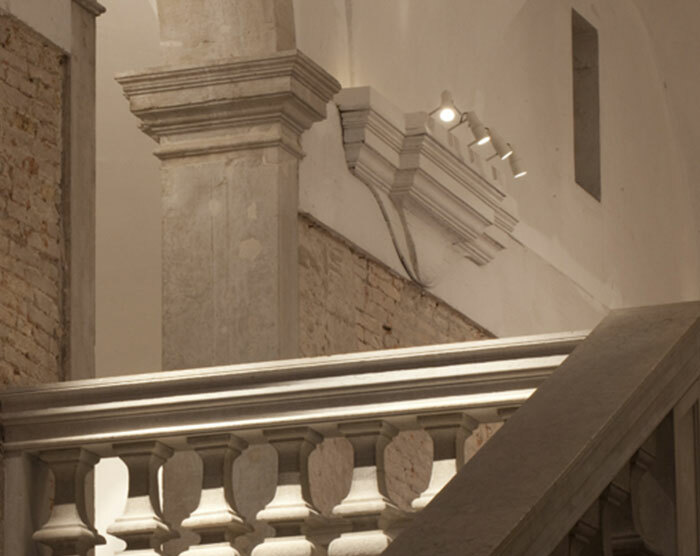 the light fitting is characterized by a peculiar detail in natural brass that marks the junction of the connection between the stem and the handle that allows an easy adjustability. dimensions profile: available in three wiring arrangements. GU5.3 50W halogen lamp, GX10 35W metal halide lamp and with an led source with interchangeable diffusers (24°, 40°, 60°). each light fitting has a light trap for optimal visual comfort. 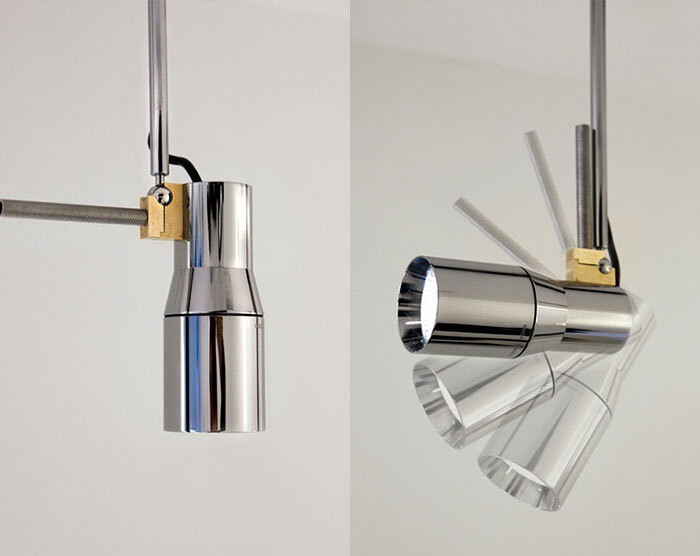 light fitting finishes: polished chrome, my bianco and my nero.